Supplied in polished chrome plated finish. 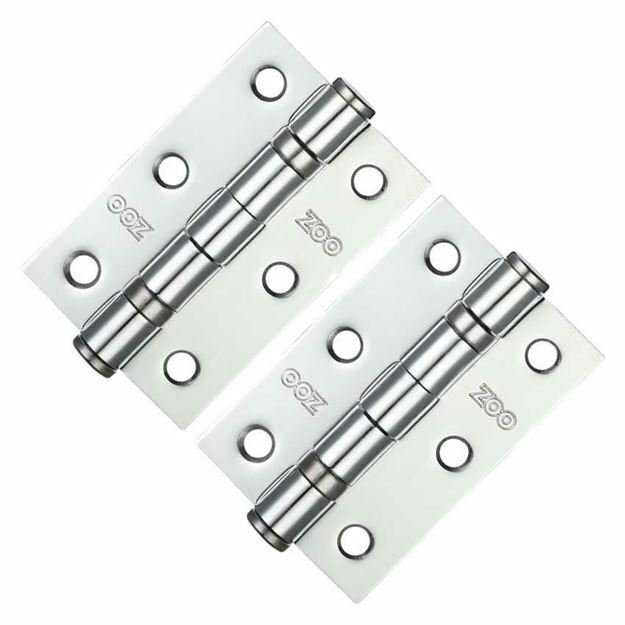 3" (76mm) high x 2” (50mm) wide door hinge is part of the ZHS range from ZOO Hardware. 2mm thick steel supplied with matching screws. For use on standard 35mm thick internal doors. Suitable for light weight internal doors - 2 hinges per door. Solid doors - 3 hinges per door.